I think I seriously need to start paying Lush’s new Oxford Street store rent for just how often I’m there. I need professional help. Although, there are many things worse to be addicted too so I’ll count my lucky stars. With my sister visiting me in London, I promised to show her the store I had spoken so fondly of and she was not disappointed. I can’t go in there and not make some damage to my bank account but I am so excited to use some new products I’ve never tried before as well as stocking up on personal favourites that keep me coming back for more! If you’ve not been to Lush Oxford Street – what are you waiting for? It’s my favourite lush store and will not disappoint! This is my favourite bath bomb from lush to date. 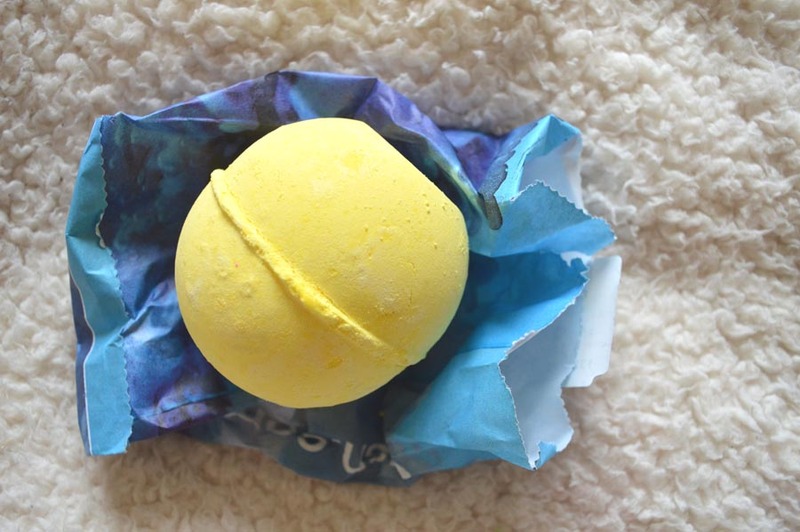 The fizzbanger; an explosion of lemon scents that not only makes my bathroom smell delicious until I use it, but also makes my skin feel unbelievably soft. I’ve picked up one every time I’ve gone to Lush and would feel like I’m cheating on it if I didn’t. I love watching it melt away and popping in my bath, turning it a gorgeous green colour. I would have picked up more, but I had others I wanted to try but it took restraining. 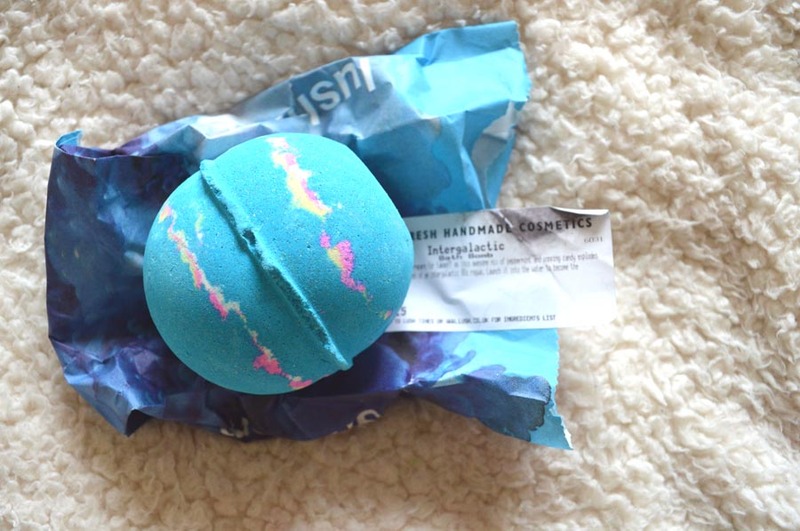 My sister also loved it and this is a bath bomb not to be missed when visiting your local store! Love it so, so much. Alas, a Zoella recommendation I couldn’t not check out for myself. It converts your bath into a gloriously glitter-filled galaxy. It smells really natural with a very prominent peppermint scent, nothing can compete to the fizzbanger in my opinion, but this is all about the fun factor and Lush has really out done themselves. This is a ‘must instagram how glorious my bath is’ kinda bath bombs as it makes your bath look like such a masterpiece. The only down side? I was very glittery after my bath, but nothing a quick shower down can’t sort out. This is such a wonderful addition to my bath and I’ll be stocking up for winter as it’ll be a great companion for when it gets darker earlier and the nights are much colder. 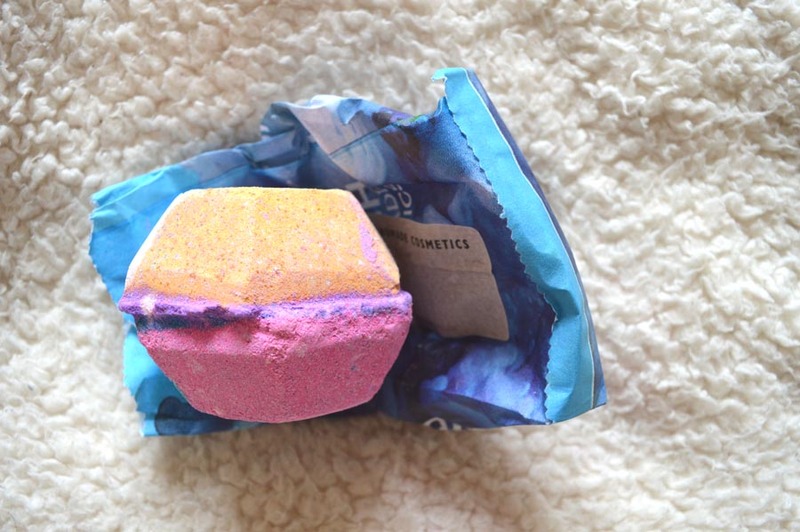 Another personal favourite, the reliable comforter bubble bar. I just love this product and how many baths you can use it on. My record is a total of six baths that was transformed to a berry smelling bubble heaven. I also love how it turns your bath a gorgeous shade of pink and smells beautiful. In a previous lush haul, I picked up the comforter shower cream, and that just isn’t enough. I wish Lush made this into a perfume or a candle as I’d make my entire flat smell like this. It’s also so easy, you just break it up and run it under your tap! 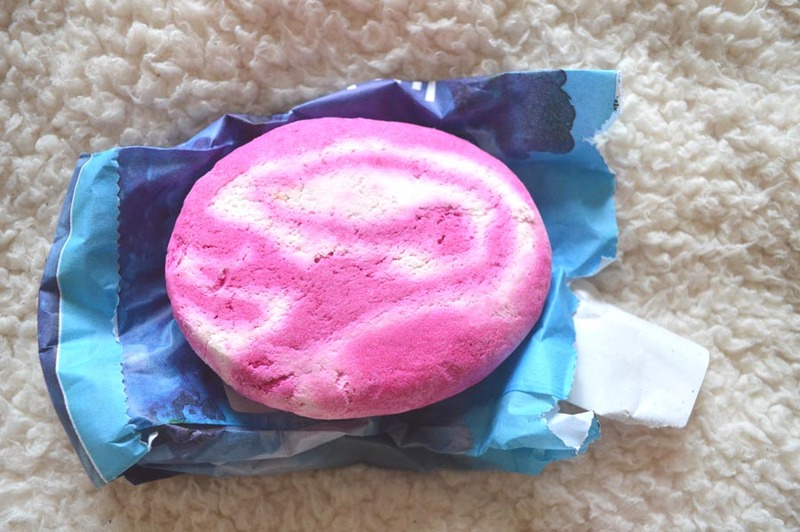 All their bubble bars are such amazing value for money, my intentions were to try a different one as I always go for the comforter, but none smelt as amazing as this. Maybe next time… or, maybe I’ll stick with this! It’s really as crazy as it sounds. The experimenter, an explosion of bright colours into a rainbow show stopper. Amazing. It was so instagram-worthy it hurt. My boyfriend and I stood in awe, like we were watching a firework display transform the bathtub, but once in the tub, the colours did merge together and create a rather grey-ish colour, just like when bright paints mix together, but that can’t be avoided. The scent was strangely very strong and was quite woody, again great in my opinion for autumnal months, but not to everyone’s delight. I do prefer my fruity lush scents but nonetheless, it was still very enjoyable. It did leave my skin feeling soft and it’d definitely be worth a try if you haven’t picked it up yet. Like Intergallactic, it was very glittery which was very fun to watch but more of a pain when trying to clean the tub. I’m pleased I’ve tried The Experimenter but not too sure if I’d pick it up again in a hurry. There we have it. I love my Lush goodies and so happy I tried some new ones as well as stocked up on my favourites. For my bank balance, I think I need to stay well away, but I just can’t help myself. Before I start back at Uni, I’m doing as much overtime at work as humanely possible (I am actually doing more hours than my manager!) so treating myself is definitely well deserved, plus there is nothing better than coming home to a freshly run lush-filled bath. 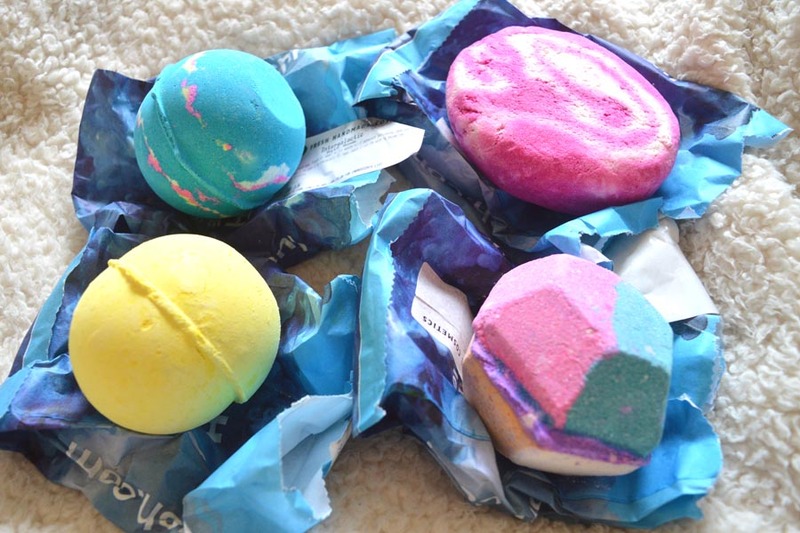 Have you tried any of these Lush bath products? Or do you have a personal favourite I haven’t tried? Let me know! Previous Post A Mac Haul!